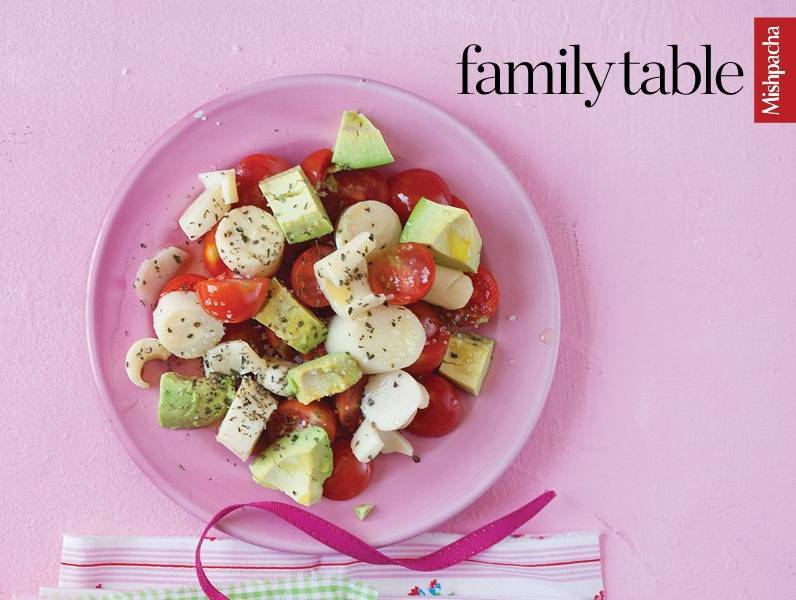 Place tomatoes, hearts of palm, and avocado cubes in a salad bowl. Mix dressing ingredients and pour over vegetables just before serving. Toss to combine. Here’s the neatest way to cube an avocado: Hold the avocado in the palm of your hand and slice like a grid, as if the peel isn’t there. Slide a large spoon under the halved avocado and you have cubes!